We actively encourage companies to send us products to review for The Toy Verdict. Our fee to toy companies for reviewing their products is: £200 GBP (+VAT where applicable) or $300USD. However, please be aware that this is subject to change. Please also note that we always review products 100% honestly, we may like you, we may have known you for years, but the only reason people visit this site is to get real feedback. If we review one of your products and we rate it at less than 7/10, we will not post our review, as this site features only good or very good products. Please note that we can’t always review every product we are sent due to capacity issues…there are only so many hours in the day/week, and because all our reviews are conducted/written by expert toy researchers we focus on quality of reviews versus quantity. Please also note we do not return products once reviewed, we usually give reviewed samples to schools, charities, kids etc. 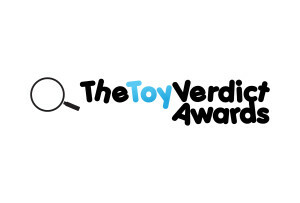 Toy companies may also be interested in submitting products into The Toy Verdict Awards.